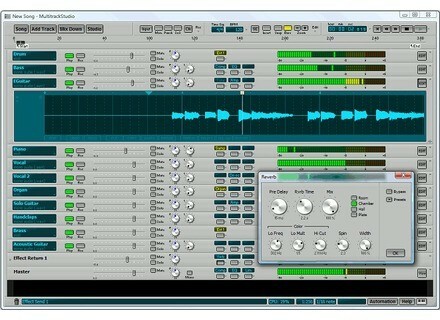 MultitrackStudio 6, General Sequencer from Bremmers Audio Design. MultitrackStudio 6.1 comes with various new features powered by Dirac Pro. Audio track editors now feature pitch shifting, time stretching and vocal pitch correction. The tempo editor can now optionally operate on audio tracks, whereas it used to work on MIDI tracks only. The new release also features a built in VSTi bridge, which runs the VSTi plugin in a separate Windows process. This new feature allows for using all memory available in 64 bit Windows by running multiple 32 bit processes. The new version is available free of charge for users who purchased the program after February 1, 2009. Older versions can be upgraded for $39 (Pro Plus) / $23 (Professional). For more information, visit www.multitrackstudio.com. Native Instruments Evolve Mutations 2 Native Instruments today introduced Evolve Mutations 2, a new Kontakt Player-based instrument for movie, TV and game composers.